With record droughts plaguing parts of the United States, fire is becoming an all-too-common threat for homeowners. 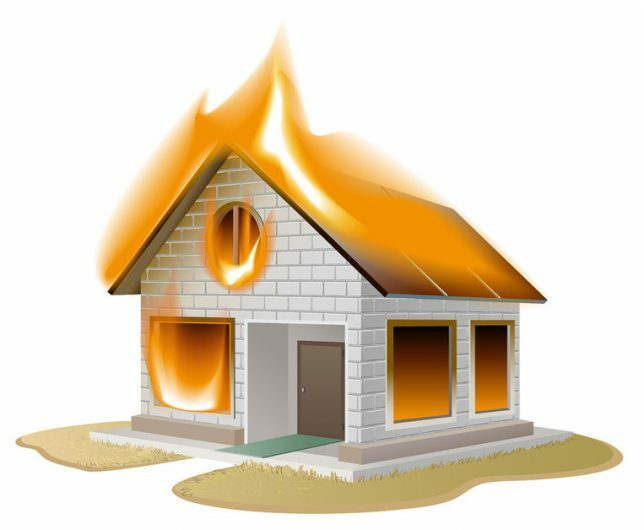 Should your home get caught in an out-of-control wildfire or fall victim to a more common kitchen or electrical fire, you’ll want to contact a house fire restoration expert and take your own action to remediate the damage. After the fire (and after you’ve notified your homeowners insurance company) it’s essential to act quickly: Contact a fire restoration specialist as soon as the flames die down. According to the Institute of Inspection Cleaning and Restoration Certification (IICRC), qualified fire restoration services have the ability to help even in the most extreme cases. The first step in remediating the fire damage is a full-scale clean up, and a professional will have the proper equipment, appropriate cleaning products, manpower, and, most importantly, know-how to do the job correctly and thoroughly. Plastics and other synthetic materials that are consumed by fire leave behind traces of an array of dangerous chemicals. Wood, one of the most combustible materials in a house fire, creates smoke that contains methane, carbon monoxide, sulfur dioxide, and heavy metals. Acidic ash residue must be removed within a few days. Walls, ceilings, floors – every part of the home affected by the fire – needs to be treated. Ash is acidic and if left for too long will cause materials to deteriorate. Ash and soot will not only discolor furniture, countertops, floors, walls and ceilings, but a high concentration of ash can cause breathing problems. A large accumulation of soot becomes increasingly difficult to remove the longer it’s been left sitting. It can do irreparable damage to textiles and can break down metals and glass. Removing noxious smoke odors can help make the home habitable again. Professionals will have access to advanced technology and equipment, such as thermal foggers and ozone treatments, which can reach deep into wall cavities to help clear the air. A home’s HVAC system will intake ash, soot and smoke, so vents and ducts will also need to be cleaned to eliminate every bit of lingering, irritating odor. Putting out the blaze itself can cause additional harm that will need to be addressed. The water and chemicals used to extinguish the fire can create secondary damage. Attempting to use common household cleaners can react with the chemical residues and cause toxic fumes. Damp wall and flooring materials, standing water, and high humidity levels can promote the growth of mold and mildew. Getting rid of all water or moisture will likely require a professional water damage contractor who has the equipment and experience to find and remove hidden damage. Your house fire restoration contractor may do the work, or refer you to a water damage specialist. – First, make sure the fire is out. – Wear a mask; gloves; and thick-soled, closed-toed shoes. Be aware of how fumes and odors are affecting you. – Vacuum loose soot with a shop vac. Make sure any remaining embers have cooled. – Surface clean with soapy water. – Open windows and doors and run box fans. – Pull out damaged items such as furniture, carpeting, rugs and curtains. – Salvage valuables and personal mementos. Cleaning up after a fire and restoring a home to its original condition is a job that requires professionals. To find a qualified house fire restoration contractor in your local area, simply enter your ZIP code above. 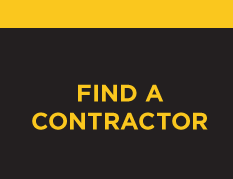 All of our network contractors have been vetted, so you’ll know your Contractor Connection professional has the insurance, licensing, and credentials you need for the best service and for your peace of mind. Find the right general contractor for your renovation or remodeling project. Select your project type and enter your ZIP code below to get started. Or scroll down to read more about Contractor Connection. Contractor Connection has been recognized by J.D. Power by providing "An Outstanding Customer Service Experience" for Phone support. J.D. Power 2018 Certified Customer Service Program recognition is based on successful completion of an evaluation and exceeding a customer satisfaction benchmark through a survey of recent servicing interactions. For more information, visit www.jdpower.com/ccc. All of our contractors back their work with an industry best 3-year workmanship warranty. The following contractor services are currently available in your area. Please select the service or services you need, or the category that comes closest to describing your project. You can change your selection before submitting your estimate request. How can a Contractor Connection Pro help you? Please tell us where your project is located so we can match you with the contractor who's right for your project and in your local area. Please provide us your contact details. Contractor Connection will not share your contact information for marketing purposes. Almost Done. Please review submit the information below - and we will be in touch with next steps. Please accept the Terms & Conditions box to complete the request to Contractor Connection. Thank you! Below you will find your project info! Our contractors offer a full workmanship guarantee. Our security leverages the latest and best technology. Every contractor is vetted, licensed and insured. 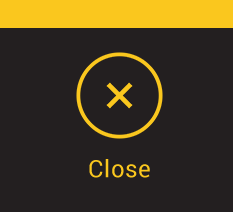 to view the status of your project.